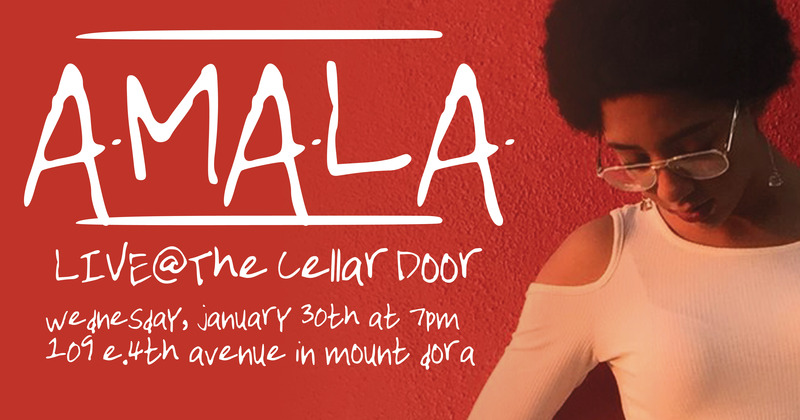 Stop by The Cellar Door tonight and get your mid-week groove on with a glass of wine or beer and the dulcet tones of incredible songstress Amala! She’s back on our stage tonight singing her beautiful heart out, so stop in and listen. You’ll be glad you did.